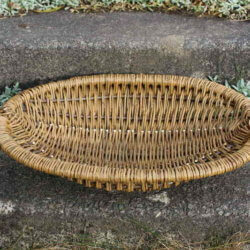 The traditional welsh Cyntell was used as an agricultural basket but is now perfect as a washing or log basket. 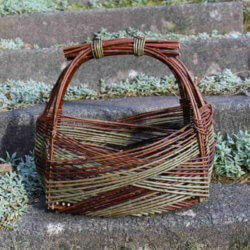 The traditional welsh Cyntell was used as an agricultural basket. 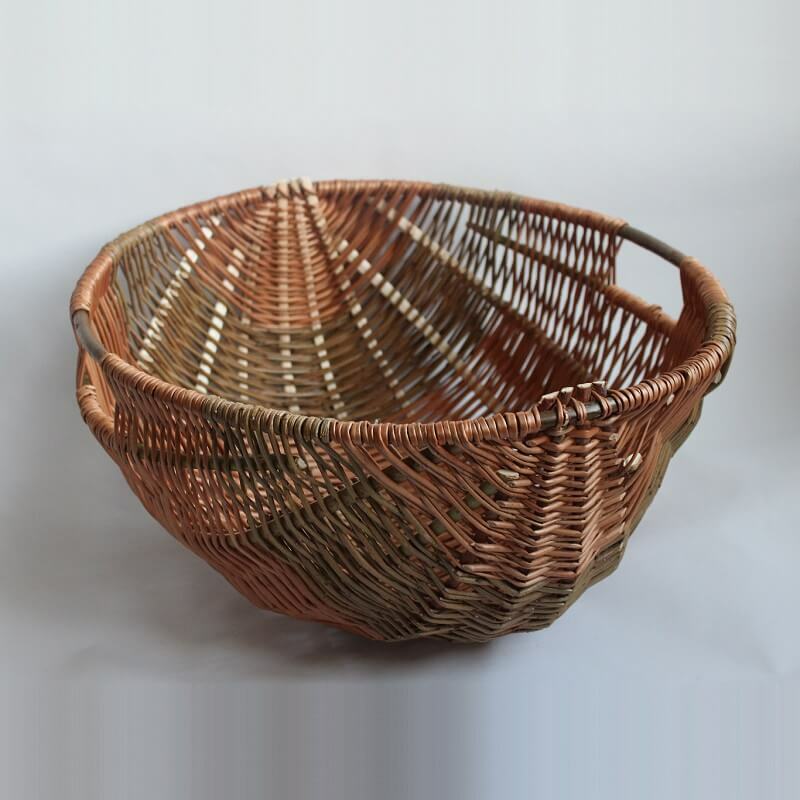 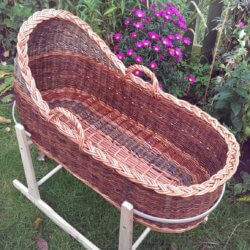 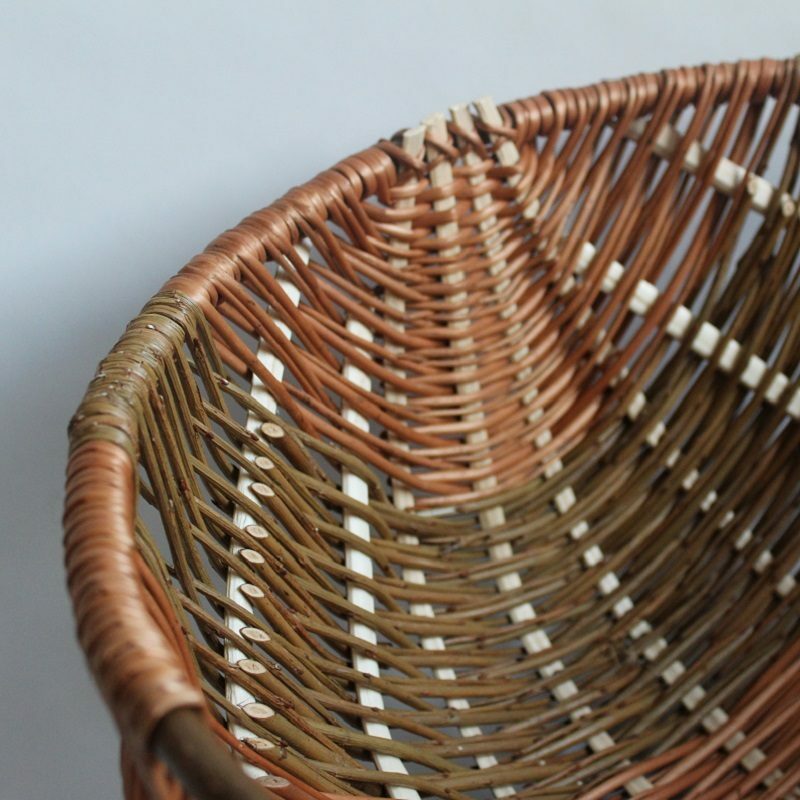 It is now perfect as a log basket, toy basket or perhaps a washing basket. 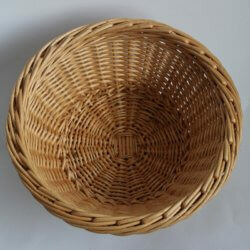 The willow is dried on a forma usually made from kitchen worktop. 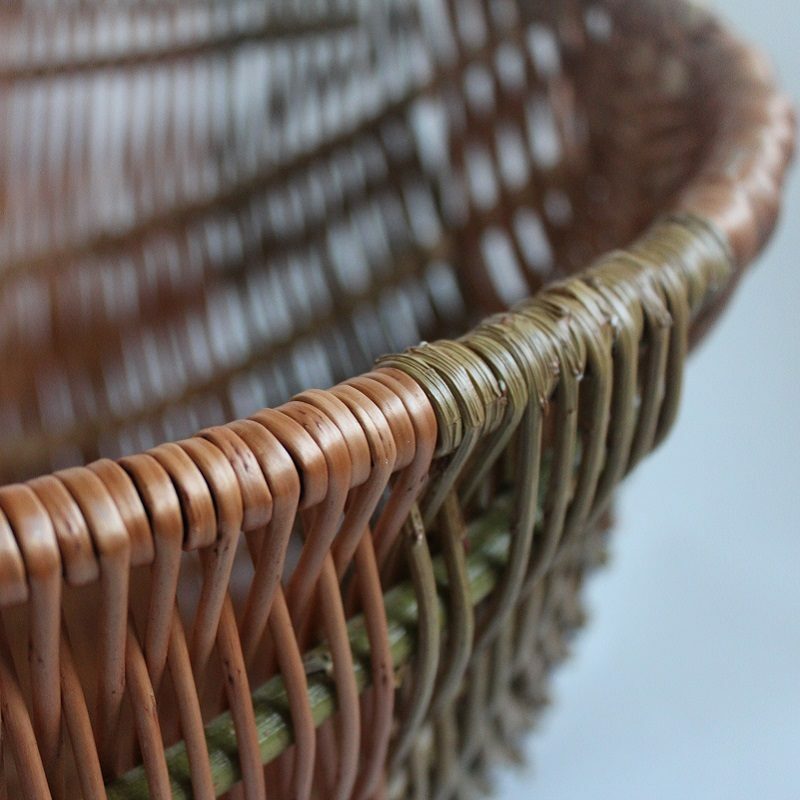 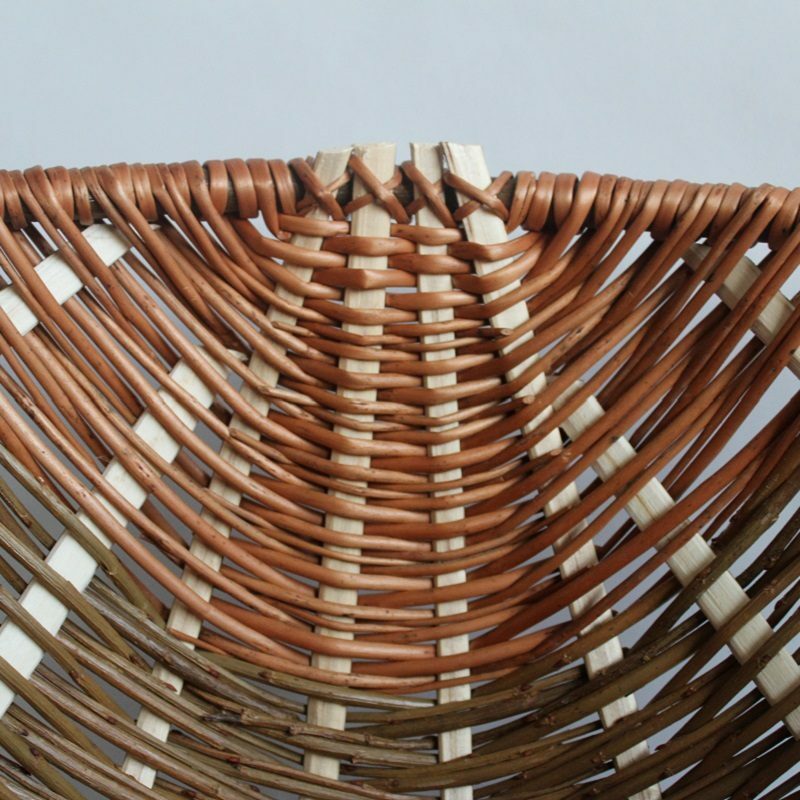 The ribs of the basket are made by splitting a thick piece of willow in half and shaving it down and then also drying on a forma. 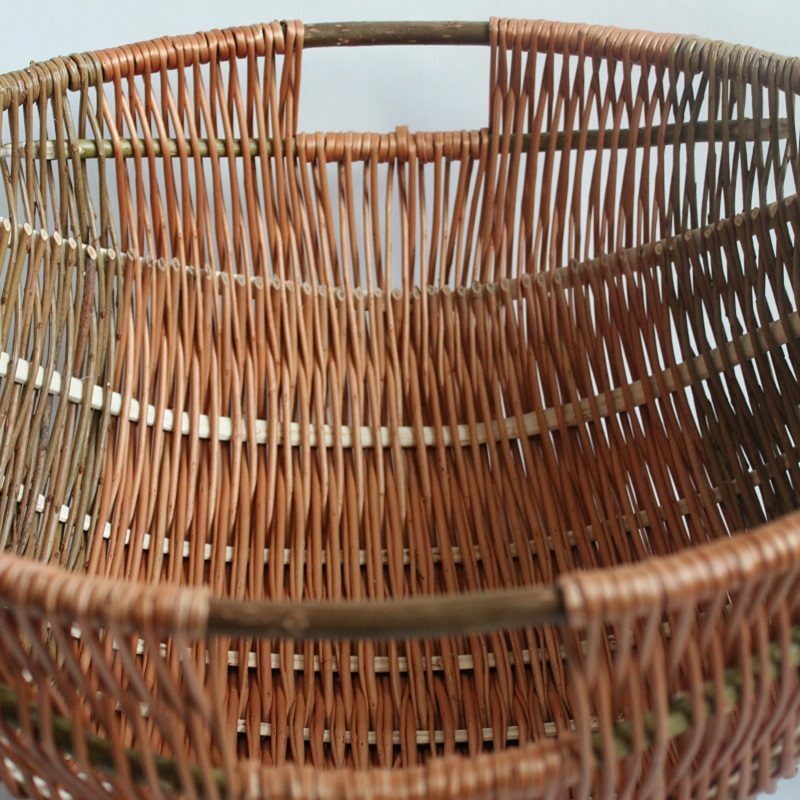 It is 20″ wide and long and has been made using buff willow.